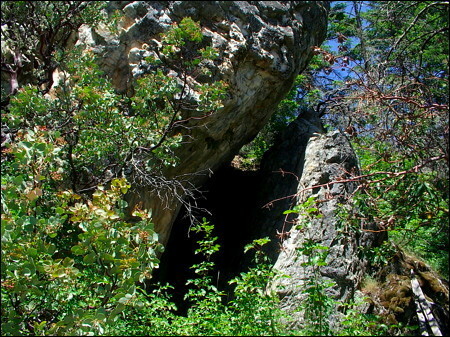 Medicine Rock is an important place in the history and culture of the Takelmas. It is a vision quest site for Somlohólxas, upper class medicine people from several villages up and down the Rogue River. The red symbols on quartz are unique in the region. They tell of two paths to the top of the rock where, for centuries, medicine people have gone to seek visions and power.